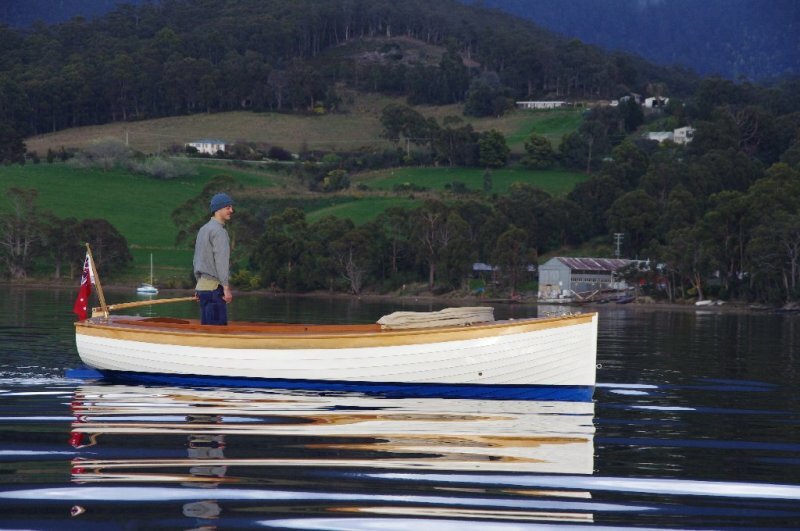 Joanie is a David Payne 17′ snapper boat design built by Denman Marine in Tasmania. 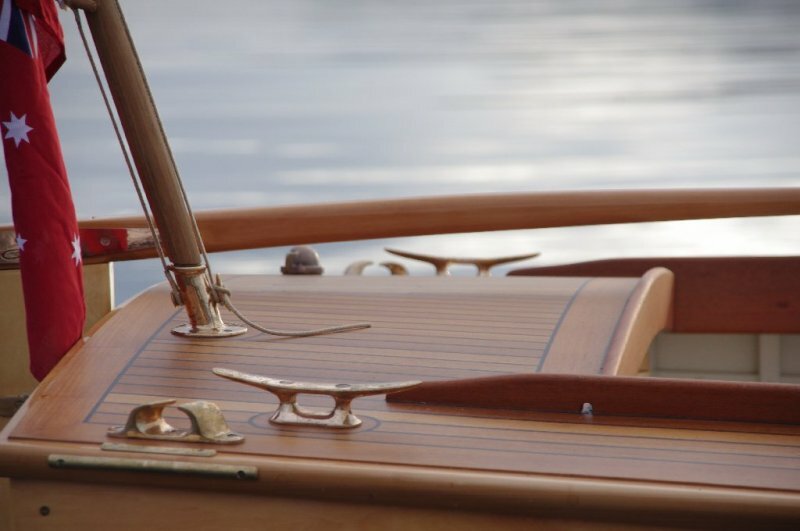 She is built from full length book matched huon pine planking on celery top pine ribs and backbone. 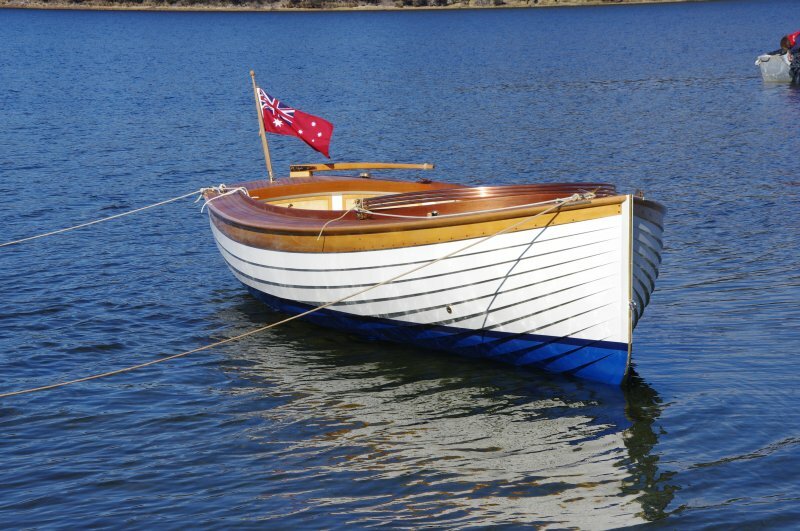 She has a lovely curved Tasmanian blackwood coaming and sprung teak decks and sole. Fastenings are copper, bronze and monel. 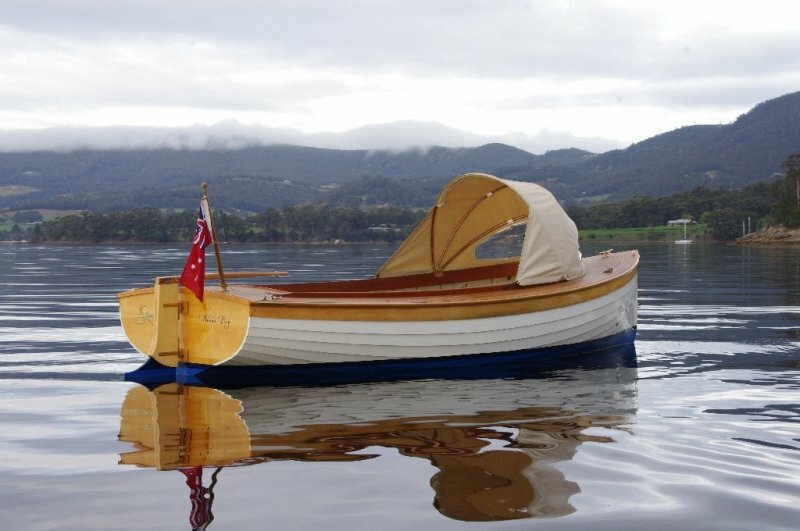 She is powered by a fully restored Blaxland Twin, 2 stroke petrol motor. Joanie shows what can be done with a good design, the best materials and a wonderful client. 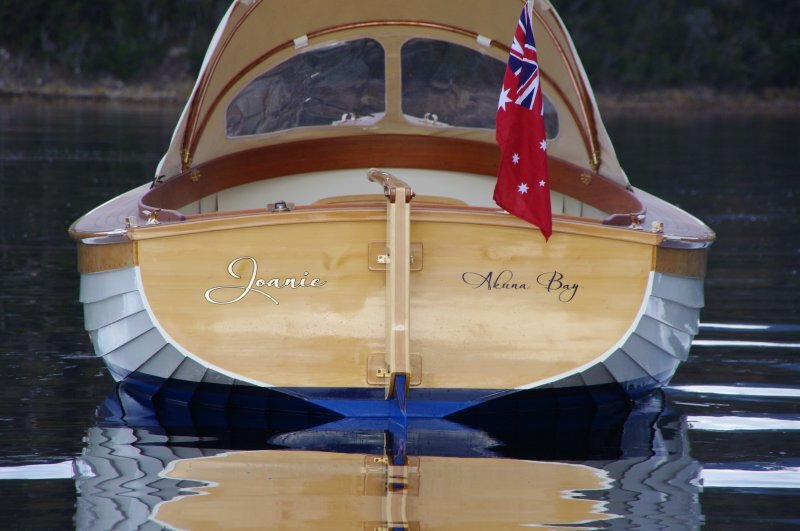 She will be based out of Akuna bay in Sydney, Australia.